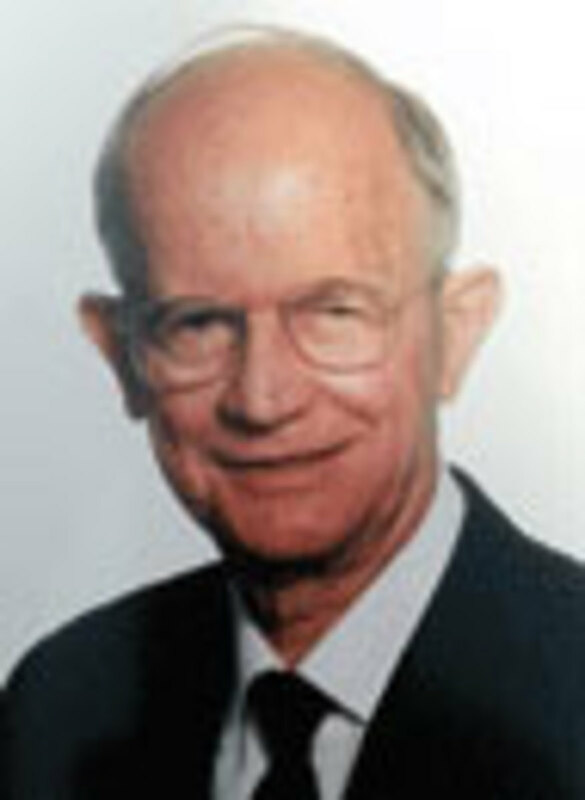 Charles D. “Charlie” Strang, former No. 2 executive at Mercury Marine under Carl Kiekhaefer and later chairman and CEO of Outboard Marine Corp., is an industry icon second to none. And what’s amazing is that at 91 he’s still going strong — very strong. An engineering genius, Strang has contributed more to the boating industry in overall technology and engine product development than anyone I know, and in my 50-plus years in this industry I have known a lot of successful dealers and manufacturers you could consider industry icons. Strang’s love of boating started at 10, when his mother took him to the 1931 New York Boat Show. He saw a Century Cyclone racing boat and fell in love with it. His mother finally bought one for him when he turned 15 in 1936. From then on, racing was his major passion. The next summer, he started racing and became a consistent winner. When World War II put an end to racing, he was the reigning New York state champion. After college, Strang worked for a while in the experimental engineering department at Wright Aeronautical Corp. He joined the staff of the mechanical engineering department at the Massachusetts Institute of Technology for four years, teaching undergraduate and graduate classes and conducting research in tribophysics, the science of interacting surfaces in relative motion. It was at MIT that he met and became friends with Edgar Rose, a post-graduate student there, who later worked for Strang as an engineer at Mercury and then at OMC. 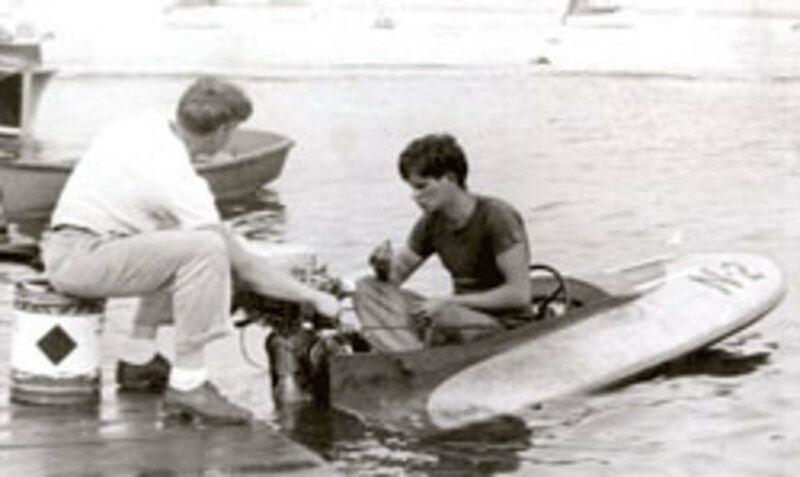 In 1950, at the American Power Boat Association National Outboard Championships near Winter Haven, Fla., Strang had a brief encounter with Carl Kiekhaefer when he accused the race judges of making an unfair call on one of Kiekhaefer’s drivers. Kiekhaefer overheard Strang defending the driver and thanked him for his support. Strang later ran into Kiekhaefer at the APBA’s annual meeting. It was then that Strang asked him why Mercury didn’t build a bigger-horsepower outboard. “If you are so damn smart, why don’t you come and build it for us?” Kiekhaefer responded. In June 1951, Strang went to work for Kiekhaefer and eventually became executive vice president, second only to Kiekhaefer in the company. I asked Strang why he eventually left Kiekhaefer. He said, “In 1961, Carl Kiekhaefer sold the company to Brunswick but continued to manage the business. Carl just couldn’t accept the fact that he had sold it and it was no longer his. He had many conflicts with Brunswick after the sale that continued to escalate. “Then a couple of days later he called and said, ‘I did something wrong.’ I said, ‘What was that?’ He said, ‘I was down talking to Ted Bensinger [Brunswick’s CEO], and I lost my temper and told them you and King were going to quit. So you two are supposed to take the airplane and fly down to Chicago.’ So we flew down and met with the new president, John Hanigan. Hanigan said, ‘Why are you guys leaving?’ I told him we wanted to start our own company and make some capital gains. Hanigan said, ‘That is BS. … You just can’t stand Kiekhaefer.’ I said, ‘Yeah, we can.’ He said ‘No, you can’t and you know it.’ But this wasn’t true. I liked Carl Kiekhaefer. After leaving Kiekhaefer, Strang did consulting work for a couple of years. “During the two years between working for Mercury and OMC I did work for Rover Motor Cars of Great Britain the first year,” Strang said. “The second year, I consulted with both Rover Motor Cars and with an Evinrude distributor, Doc Jones, who had a high-performance machine shop in Phoenix, Ariz. I also did some work for the American Chain & Cable Corp.
“Doc Jones had me designing gearcases for OMC engines,” Strang added. ”I was given this project because Ralph Evinrude had personally been doing some product testing down in Stuart, Fla., and he found that the gearcase OMC was using then was substantially slower than the one Mercury had. So I spent a year developing a new high-speed gearcase for OMC. About a year after joining OMC Strang hired Rose, who had worked for Strang at Mercury. Rose had left Mercury to return to the East Coast, and he later returned to the Midwest for a job in Chicago with a company that made electronic machine tools. With Strang’s engineering successes, first at Mercury and then at OMC, he began climbing the corporate ladder to president and general manager in 1974, president and CEO in 1980 and chairman of the board in 1982. Rose became vice president of engineering. 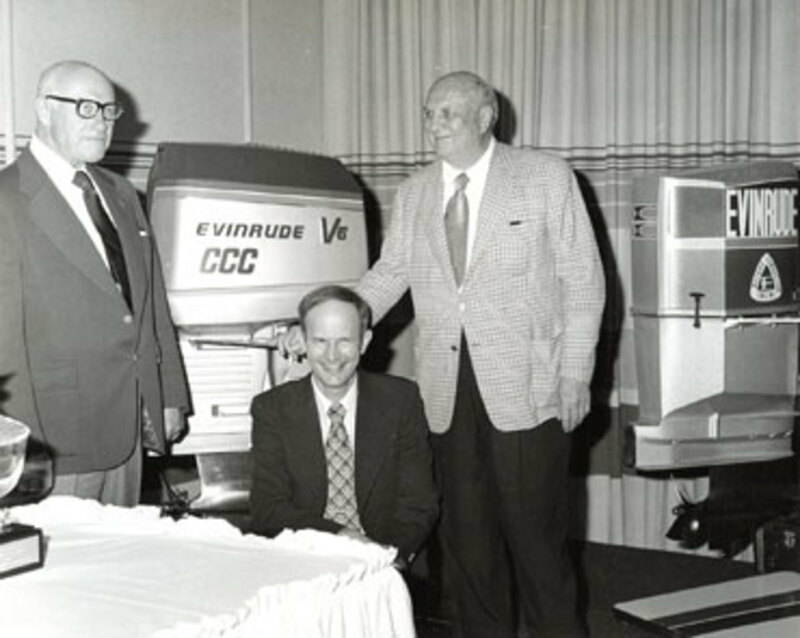 Under Strang’s leadership, Evinrude & Johnson experienced continuous growth in performance, product quality and success in product development and in the industry horsepower race. He also was a moving force behind OMC getting into the boat and engine package business with the purchase of several quality boat brands. If it weren’t for that rule, Strang very likely would have stayed on as chairman for a few more years. And I personally believe that if he had stayed on, OMC would not have gone bankrupt, as it did in 2000. After his retirement, OMC started a slow downward spiral under the leadership — or in some cases the lack of leadership — of some of the four chairmen who succeeded him. Two of them had no background or experience whatsoever in the marine industry. And a few years after Charlie retired, a disastrous program of outsourcing many key engine parts was implemented. The quality of the outsourced parts just was not up to the standards Strang demanded when he was chairman. In fact, when BRP took over bankrupt OMC, it had to scrap millions of dollars’ worth of pistons, crankshafts and more because of the failed outsourcing program. Frankly, it left many of us OMC veterans puzzled. Strang was presented an American Success Award by President George H.W. Bush in the Rose Garden in 1989. He also received an honorary doctor of business administration degree from a Florida university. In 1990 he was elected to the NMMA Hall of Fame. After retirement, he became involved in motor sports. “After I retired from OMC, I was national commissioner for NASCAR for 10 years,” Strang said. “I retired from that, but I still go to NASCAR main events. Now I am mainly involved in boat racing. I am national commissioner of the American Power Boat Association. And I have been involved in the Union of International Motorboating for many years. I became senior vice president of UIM. Then I was president for a year, although I didn’t run for it. “After that I went back to senior vice president, a position I held until I finally decided it was time to stop traveling to Europe because I had been doing that four or five times a year. I only hope I make it to Strang’s age. And if I do I pray that I will not only still make sense but also be as sharp as he is. I think Strang would be no more than 50. Ben Sherwood, a 50-year veteran of the marine industry, was head of sales and marketing at Evinrude & Johnson during most of the years when Charlie Strang was chairman of Outboard Marine Corp. After retiring from OMC he was a marine trade magazine columnist for 18 years and authored the book “How to Succeed in Marine Retailing.” He can be reached at ben@bensherwood.net.